A group of graduates are taking legal action against Loei Rajabhat University’s Faculty of Education Khon Kaen centre after they were denied teaching licences. The Central Administrative Court has scheduled a preliminary hearing for November 7 in the case that involves 125 graduates. Pannida Senawuth said on Tuesday that she and seven other graduates from the centre’s Thai, English and computer science programmes had passed the teacher recruitment exams. 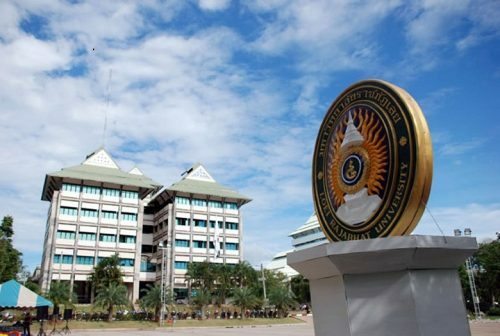 During the October 2 orientation ceremony, however, they were told that they were disqualified because their study programmes failed the Office Higher Education Commission (OHEC) assessment and Teachers Council of Thailand’s certification. The eight graduates are suing OHEC and Loei Rajabhat University for compensations and to get a court injunction to stall their disqualification from the project. She said: “We are saddened that the hard work throughout the five-year course, in the hope of becoming teachers and our families’ financial support, will be in vain. “We passed the recruitment exams but we couldn’t be approved as civil servant teachers because of the lack of licences,” she said adding that the Teachers Council of Thailand had granted her and seven others the certificates to teach but the OHEC would not approve them as civil servant teachers. Ratree Pengjaemjaeng, 48, whose daughter Prapawee is among the plaintiffs, said she invested a lot of money to support her daughter’s bid to become a teacher and eventually the family’s breadwinner. However, her hopes were shattered when Prapawee was disqualified. “We didn’t know that the study programme had a problem because the university never told us. The university and related agencies should help us,” she said.